Today I'm sharing with Parka Blog my experience so far on using Patreon with Pepper&Carrot. Link to the full interview here . Thanks Teoh Yi Chie ( aka Parka ) for his questions on this very specific topic. Check is really cool online sketchbook . 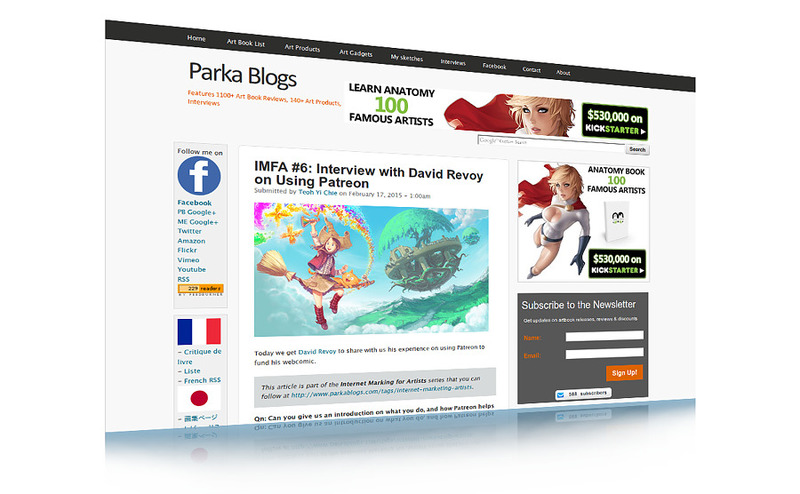 This interview is also a part of a larger series of interesting articles about Internet Marketing for Artist . Hi David! Small typo: "Internet Making for Artist" should be "Internet Marketing for Artists". @Antan Karmola : Fixed, thank you Antan !